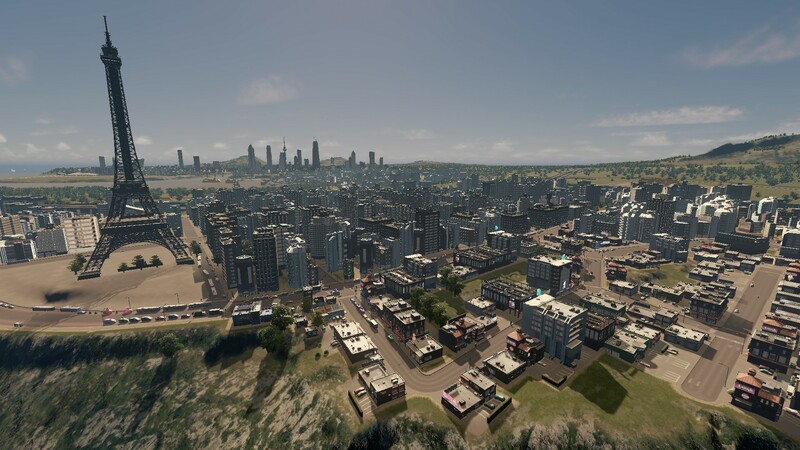 Post pictures of your cities skylines savegames and any relevant information about said savegame, simple as that. I'll start. Current population is 105,000. 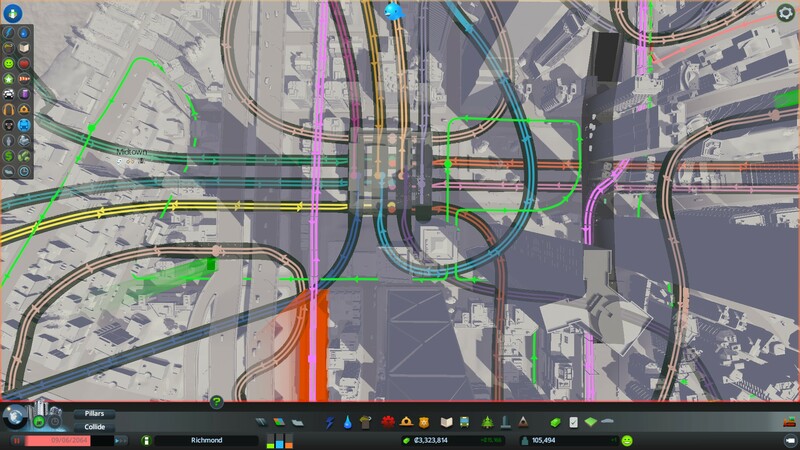 15 metro lines, 12 bus routes, four train lines, and I'm utilizing the new International Airport. 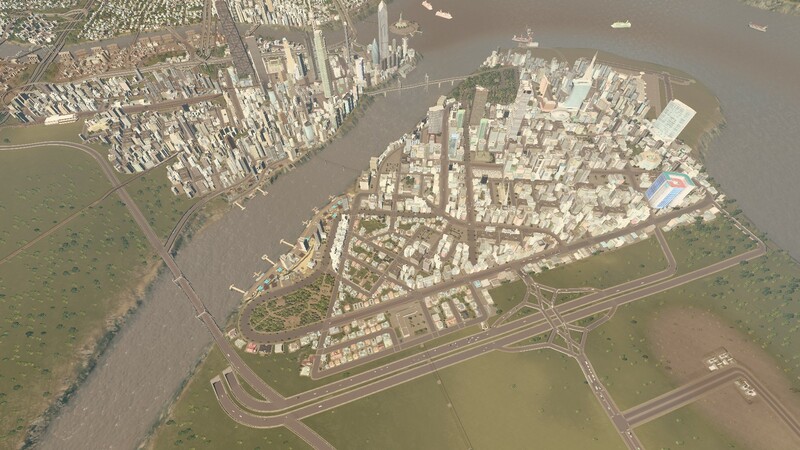 My current city with 75k population. Traffic is going mostly well, lots of people are using public transport.